Kids can recreate the fun and bat-tastic world of Disney Junior's hit preschool series, Vampirina, with Vampirina Fangtastic Friends Figure Set! 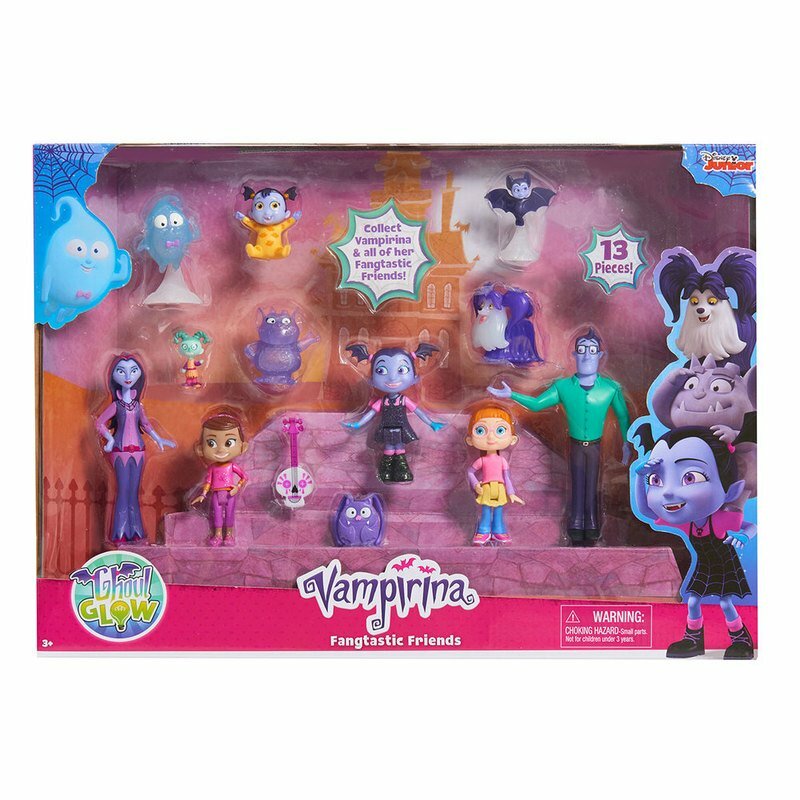 The set comes with 13 characters and accessories from the show including: Vampirina, Oxana, Boris, Wolfie, Penelope, Buttons, Phoebe, Phoebe the Cat, a laptop, boombox and bonus Edgar figure, record player, and microphone! Figures feature ghoulishly fun glitter accents or points of articulation, perfect for encouraging imaginative play. Kids will love bringing the world of Disney Junior's Vampirina to life! 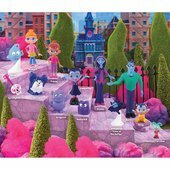 Set includes Vampirina, Oxana, Boris, Wolfie, Penelope, Buttons, Phoebe, Edgar, Phoebe the Cat, a laptop, record player, microphone and boombox. Works with the 3.5" scale of figures. Figures feature glittery accents, poseable limbs and points of articulation.